Colt McCoy did not practice on Monday amid rumor of an injury. What does that mean? We make wild, unfounded speculations. 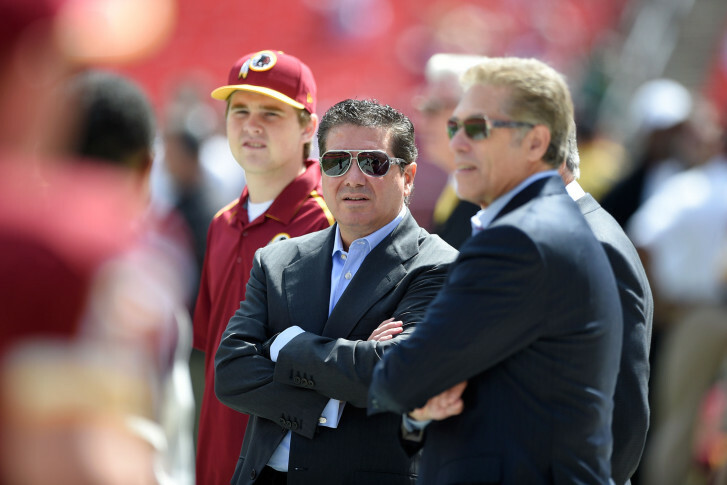 Snyder has been linked to Griffin ever since RG3 arrived in Washington. After Kirk Cousins looked like the Cousins of old, throwing two interceptions in a loss last week, could there be pressure from above to move Griffin back into the starter’s role? To do so, he first needs to be back in uniform, and that doesn’t happen without something happening to either Cousins or McCoy. WASHINGTON — As NFL rules do not force teams to disclose injury reports until Wednesday, the news that backup quarterback Colt McCoy did not practice on Monday immediately sparked rampant speculation in Washington, in the way that a backup quarterback’s status can only here. In case you haven’t been paying attention, here’s some background on why this matters. Despite the franchise spending a haul on Robert Griffin III, the planned starter for the past three seasons, Kirk Cousins has been named the primary signal caller for 2015. Still coming off a possible concussion, Griffin was out to begin the season, with McCoy named the second-string option. If Griffin plays during 2015 and suffers a serious injury, the team will be on the hook for his entire, $16.1 million, 2016 contract. He has been inactive through the first three weeks of the season, wearing a headset instead of a helmet on the sidelines. According to The Washington Post, McCoy suffered a cut on his foot, limiting him in practice. Griffin took second-team reps in practice Monday. If he does so again Wednesday, and McCoy is ruled out for Sunday’s tilt with the Eagles, Griffin will be back in uniform, one tweak or coaching decision from stepping back on the field. So what’s really going on with Colt McCoy? To be clear, these are conspiracy theories. These are not based in any fact, other than the few listed above, and are not things we actually believe. We are doing this because while literally nothing that comes out of Ashburn should surprise us at this point, it still continues to. We are doing this because it is a Wednesday at the end of September and the baseball team has been mathematically eliminated. Do not take these any more seriously than you would a random, ranting lunatic with an egg avatar on Twitter. Keep that in mind as you flip through the slides above. Enjoy.